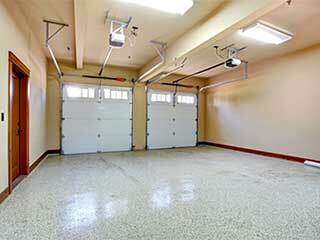 Many troubles with your garage door may actually be your opener's fault. This can be easily inferred. For example, if the system seems to have a hard time opening or takes several tries to manage it, if it makes a lot of noise, or even starts to reverse in the middle of opening. These scenarios are usually a dead giveaway. Wear and tear from every day use can take their toll over time, especially if you’ve had the same door for years. The issue can always worsen if left untended, and might even cause damage to other parts of your system, so it’s best to have our professionals deal with it as soon as possible. No matter what the trouble is, or what opener model you have, our experts can handle it! We work with a wide variety of brands, and our professional team is more than well versed in dealing with every single type of problem. Your opener may simply need a little tune up, or some of its internal parts have worn down over the years and simply need to be replaced. The remote or control pad itself may even be the cause, which is something we can take care of as well. Whether you simply decide an upgrade is in order, or if you’re having a new garage built and need a new opener installed, we can help. Our professional technicians will assist you in finding the model that will be most suited to your door’s needs, taking full consideration of how often the system will be used and what sort of weather conditions it will have to endure. Our technicians never sacrifice the quality of our service for speed. They make sure to go about the required work in a timely fashion, so you can go about the rest of your day, but they never settle for a short-term solution. Call our Garage Door Repair Sammamish experts today!